I realize that many of the posts that I have written on this blog have had the word “2013” in them, and I’m really not sure why… perhaps it’s because I started the blog so late in 2012 that I find 2013 to be the time that Jeffalytics will start to get traction? Or is it that there is just so much going on in 2013 that this has become the focus? Personally, I would say that 2013 became an anchoring point on this site at the closing of 2012 because it represents my first full year of blogging about online marketing consistently and the time that I will fully “leave my mark” in a meaningful way. Well then, if the end result is that I am seeking is to become a thought leader in the realm of digital marketing, then I need to set a list of goals for myself to achieve and then use this list of goals as a guide for getting things done. Fortunately, one of my goals is to be as transparent as possible, so I will be sharing these goals at the end of this post. But first, let’s have a reflection on the year that was 2012. By learning and reflecting on what worked in 2012, I will be able to guide the blog into the right directions and stay away from chasing things that aren’t helping my cause. Why only 8 posts? Because I didn’t start this blog until September, so this just feels like the right amount of content to judge for effectiveness. I am going to try something that I hope doesn’t backfire – I’m going to share traffic information and insights about what I think worked about the post. I am being extremely transparent for two reasons: 1) I think it helps with learning process and 2) It may help people who are reading understand benchmark their own websites against the traffic we received so far. This is the post that really put this blog on the map for the first time. After learning that we could talk about the announcements at the GA Summit immediately (as opposed to having to wait months to share news), I decided that I would live blog the announcement and post on the site. I was pretty sure that very few others would do this, so I wanted to give it a shot. This was equal parts exhilarating and stressful, as I needed to write, take photos, crop photos and get the blog post ready in a matter of hours… all while my battery was running low. I even only paid half attention to a presentation by Avinash Kaushik while wrapped up in writing. Blasphemy, I know! The result was well worth it, though. By far the most successful post on Jeffalytics and a good benchmark for what can happen when the stars align and you provide the world with actual news. If I ever get the chance to live blog a product announcement again, I will definitely take advantage of that opportunity. From a traffic perspective, I’m very surprised that there were so many direct visitors for this post compared to other mediums. It doesn’t make a lot of sense to me given the method that the post gained traction (through Social Media and referring links). The direct number seems far too high to me. What did I learn? That breaking news can definitely drive pageviews. This post came immediately after my featured post on the Google Analytics blog at the end of November. The GA blog has strong readership that brought in new visitors to the site. Combine this with a tweet from the GA Twitter account and this post became a strong draw for Jeffalytics. I am glad that the page got quite a few views, because this was one of the more time consuming and involved posts that I wrote to date – complete with custom graphics to demonstrate each point. What did I learn? Thought leadership draws in traffic and it’s especially good when other thought leaders tweet you! This post served two purposes: 1) to announce a new site I had been working on and 2) to reflect on what has changed over the years with WordPress. While it did not get a lot of traction in quantity, it did get a fair amount of visitors at the last minute due to a tweet that came in from the WordPress host I mentioned, WP Engine. That tweet alone accounted for nearly 200 visits. The funny thing is that I did not approach them about the article – they stumbled across it based on a comment I left on another blog about their hosting service. They read the comment, read my blog and tweeted the link. A true example of benefitting from joining the community! What did I learn? When you write about a service that you are using, you shouldn’t be shy in trying to engage them with your content. They may find it worthy of sharing your story with their audience! I should be doing this on every post and being more proactive by reaching out to those services mentioned. 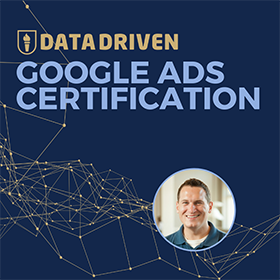 During the certification process for Google Tag Manager, I struggled to find documentation on how to best use the product and understand what was being tagged. I figured that if I struggled this much, others must be struggling as well, so I wrote this post to help people out. It was a huge disappointment when it didn’t receive a single tweet or any buzz in social channels. Tweets are often my first indicator of whether a post will resonate and when none came across, I was disappointed. A few days after posting and no activity on the post, I received a tweet from a person in Columbia who said that the article helped them solve their problem. I was very excited! Then I discovered that the page was #1 on Google for “Google Tag Manager Troubleshooting” and that it was getting decent traction from organic search. It will likely continue to draw in organic searchers for many years in the future. What did I learn? Slow and steady wins the race. Evergreen content will draw in search visitors over time and don’t need social media attention to prove value. Troubleshooting guides can be very helpful for those needing to find information. 5) SEO is Now Content Strategy, and You are Surprised? I wrote this post in August and submitted it to SEOMoz’s YouMoz section thinking it would make the main blog in no time. Over 2 months later I received a note that it would not be accepted, so I needed to look elsewhere. I published on Jeffalytics instead and asked some friends to read it and give an up vote on inbound.org if they liked it. All it took was 6 votes and the article made it to the homepage on inbound.org. Those 6 votes lead to 100 new visitors and also some credibility in organic search. What did I learn? It is a good idea to promote your content in both your own social circles and to content aggregator websites. Having 6 friends is enough to get you traction, and hopefully I can get more than 6 friends in the future to keep the momentum going. 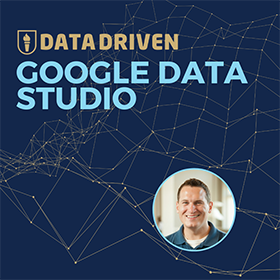 This post was equally as thoughtful and insightful as the first part of the post, but suffered from a lack of promotion, which lead to less than stellar traffic performance. I should have probably just made all 8 points in one single post as opposed to splitting in two, but I wasn’t sure about posting an article of over 2,000 words. Not sure if it as a mistake to split or worth it to do this. If anyone has experience in this realm, I would love to hear it! What did I learn? That you need to promote your content each time you post and try to get influencers to share your content each time until you can build a big enough organically sharing audience for the promotion to occur without your prodding. Of all posts written in my first year, this one was by far the most fun to write. It also had the potential of being the most controversial, since a lot of the predictions were very tongue in cheek, and I wasn’t sure how well people would pick up on the sarcasm. This is actually the reason why I made sure that the title indicated that I was being sarcastic, because I anticipated a potential backlash on the post otherwise. Fortunately, it appears as if the message did come across properly and there were no adverse reactions to the post. At the same time, there was very little sharing as well. What did I learn? That sarcasm works, but not as a way of drawing a lot of new visitors in the door. This type of post would go over better with an already established audience. This was one of my first posts on the blog and was very easy to write, because essentially all I needed to do was to share my exact code to help others out. It solves a real problem that people have with Genesis and WordPress, which is a problem I had a hard time finding the answer to while searching. I went away from these types of posts in the months since I posted this article, but I think it has a lot of merit moving forward. I just wonder if it is now far too different from the long form articles that took over in October and December. What did I learn? That if you have a problem and had a hard time finding the solution, you should post your solution for others to benefit. Not only are you paying it forward and improving the web, but it’s also really easy to write these posts. So what worked in 2012? Now that we have seen what worked for Jeffalytics in 2012, we can set goals for how we can further improve our site quality and traffic numbers for the future. Here is a small list of what I would like to achieve in 2013. I will be grading these goals as 2013 closes out. 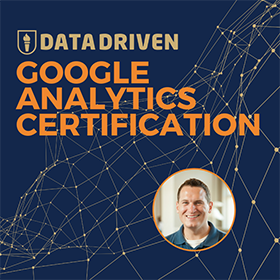 I would like to take my Google Analytics Training courses on the road and offer training in other parts of the country. While this is more in the hands of selection committees at conferences, I will do my part by offering compelling ideas and pitches for how I can contribute to the conference. I have a feeling it will only take one post before other opportunities fall like dominoes. I have a great idea for a WordPress plugin that I am determined to either develop myself or hire someone to develop for me. I have a vision for the resources section of the website and I just need to get it coded out to display properly on the site. In order to accomplish this goal, I need to commit to writing articles on the site on a weekly basis, with some wiggle room for those weeks where the schedule does not allow for writing. This shouldn’t be too difficult if I can write 40-50 posts in a year. If each posts draws in 5-10 organic search visitors per day on their own, this number will be easily achievable. It may be difficult to judge if this is achieved or not, but I think that it’s possible to talk about SEO, PPC, Web Analytics and WordPress in a single blog without losing an audience. These items are all interrelated and interesting to me, so I think it’s safe to include them all in a single blog. The way I look at it is that we all need a diverse set of skills and knowledge to be better at our professions/hobbies, so reading about all of these topics in a single source will make everyone better at what they do. I have already seen web analytics people have “aha” moments when reading my blog posts about SEO and I hope that this can continue on well into the future. There you have it, 2,500+ words on the past, present and future of Jeffalytics. I hope you stick with me through an awesome ride in 2013 and beyond!